At several mines worldwide, activated carbon is usually employed as part of the gold recovery process. It is used not just in carbon in pulp (CIP) but also in carbon in leach (CIL) techniques. The CIP and CIL methods extract gold (Au) from pulp or solutions obtained from the cyanidation process. The World Gold Council reports that the cyanidation process extracts more gold when compared to any other process. Gold cyanidation, which is a hydrometallurgical process, involves the recovery of gold from ore by turning the gold into a water-soluble coordination complex. The gold from the resulting solution is absorbed using activated carbon. The carbon is subsequently removed from the gold prior to passing it through an electrowinning circuit and smelting it to form gold bars. Tracking the content of gold and other elements in the activated carbon allows process optimization and maximum recovery of gold. The Vanta™ portable XRF analyzer is employed instead of conventional laboratory techniques within the mine-site laboratory because of its user-friendliness, speed, and considerably enhanced accuracy and precision. 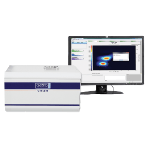 The Vanta analyzer offers precise chemistry for over 30 elements in liquids and solids, from trace level to percent level, from samples across the whole minerals cycle. The Vanta analyzer can be employed to quantify the gold loading of activated carbon from each of the tanks used as part of the process either in unprepared coarse form or after going through a fine grind. Gold concentrations within activated carbon encompass a broad range, usually measuring as high as 10,000 grams/ton (g/t), or 1%. The Vanta analyzer is used to monitor silver (Ag) calcium (Ca), and copper (Cu) within carbon from a variety of mine sites. It is valuable to track calcium within activated carbon. Lime is used as part of the cyanidation process, and continuous exposure to lime dosages clogs up the pore spaces in activated carbon, thus decreasing the potential of carbon to recover gold. When calcium is detected in large amounts, it indicates that new carbon is required or that the existing carbon must be regenerated. 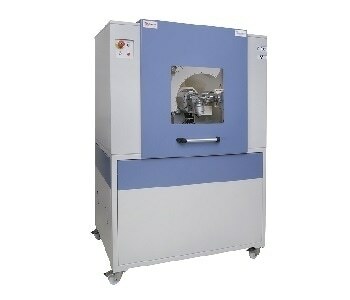 Calcium can also be analyzed on a Vanta analyzer simultaneously while measuring copper, silver, and gold. The graphs below illustrate a comparison of Vanta analyzer with laboratory results for Au in activated carbon from certified reference materials and from different mine sites. 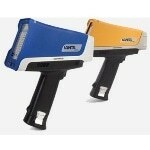 The results show outstanding correlation and accuracy between pXRF and lab results. In addition, the results reveal the potential of pXRF to monitor trends in Au adsorption within carbon at any mine site and offer support for laboratory operations and mineral processing decisions. Portable XRF has been established to be an effective tool to supervise loading trends for gold in activated carbon. The results of the Vanta analyzer are almost similar to the laboratory results. With the real-time monitoring enabled by pXRF, optimal carbon efficiency can be maintained and the delays and expenses associated with lab analysis can be decreased. 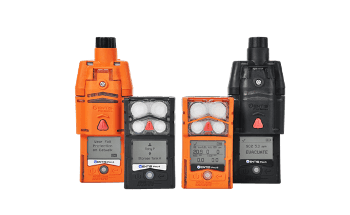 The Vanta handheld XRF analyzers developed for geochemistry and mining offer instant on-site elemental analysis for mining grade control, geochemical exploration, remediation, and ore processing. This information has been sourced, reviewed and adapted from materials provided by Olympus Scientific Solutions Americas (XRF / XRD). For more information on this source, please visit Olympus Scientific Solutions Americas (XRF / XRD).